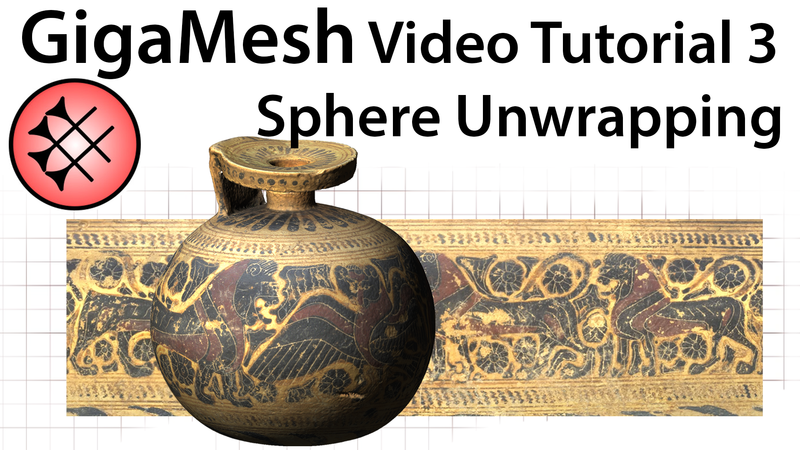 This video demonstrates another umbrella transformation using a sphere to unwrap an archaeological finding acquired using Structure from Motion (SfM). The unwrapping was published by Bastian Rieck, Hubert Mara, and Susanne Krömker: Unwrapping Highly-Detailed 3D Meshes of Rotationally Symmetric Man-Made Objects, in proc. of the XXIV. CIPA 2013 Symposium Recording, Documentation and Cooperation for Cultural Heritage. ISPRS - International Society for Photogrammetry and Remote Sensing 2013, pp. 259-264 (ISPRS Ann. Photogramm. Remote Sens. Spatial Inf. Sci. ; II-5/W).